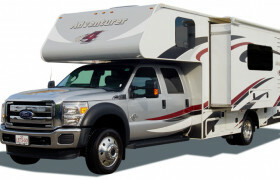 Looking for RVs in Halifax? 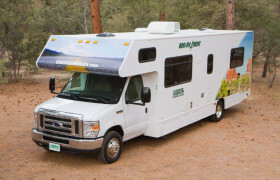 We review 6 local rv hire agencies. 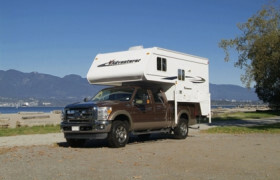 Below you will find the most up-to-date list of RV rental companies based in Halifax, Canada. If you don't know a brand or location you want to rent from, then scroll down to the map at the bottom and choose that way. Still part of Canada, Halifax is a popular port city nestled in Eastern Canada. It is largely dependent on its maritime blessings that have been running since its inception. As one of the most eastern cities of Canada, prepare for the beauty of remoteness. 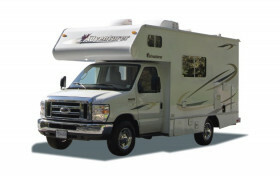 Take the comfort of your home by renting an RV that will take your to different historical places. 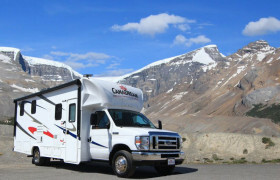 So, if you’re looking to get right out to the wilds, start your Canadian RV rental from Halifax! 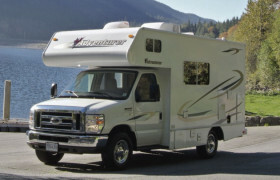 For a pleasant RV experience, plan your RVing after the celebration of Canadian Mother’s Day, which is during the second week of May. By June to September, the weather becomes more ideal for outdoor pursuits. September and October are great months to as the city welcomes the scenic fall colors and beautiful festivals. All in all, since the city is on the coast, they don’t really get that extreme temperature compared to other Canadian cities. Known for its famed waterfront, wander around the star-shaped Citadel Hill, a historic keystone that acted as a strategic fortification during the past. The Halifax Harbour offers scenic coastal vistas that helped mold the current Halifax charm. Don’t forget to visit the Maritime Museum of the Atlantic, and relive the history revolving around the site. Point Pleasant Park is a green sanctuary with trails and beach areas. If you need more beach vibes, hop on to Crystal Crescent Beach Provincial Park and enjoy the white-sand beach stretch, hike trails, and boardwalks. Food will always be part of any road trip, so as your Halifax escapade. Of course, since this is a port city, be prepared for the ultimate seafood treats! Scallops and lobsters are very famous here, and you’ve got lots of best restaurants to choose from―The Bicycle Thief, The Five Fisherman, and Your Father’s Moustache. And no Halifax cuisine will not be complete without some fish and chips, oysters, and garlic fingers. Donairs are also Halifax delicacies that deserves a spot in your food trip.